It’s been four years since I was first introduced to Bee Prepared immune support supplements and since then I’ve never looked back. 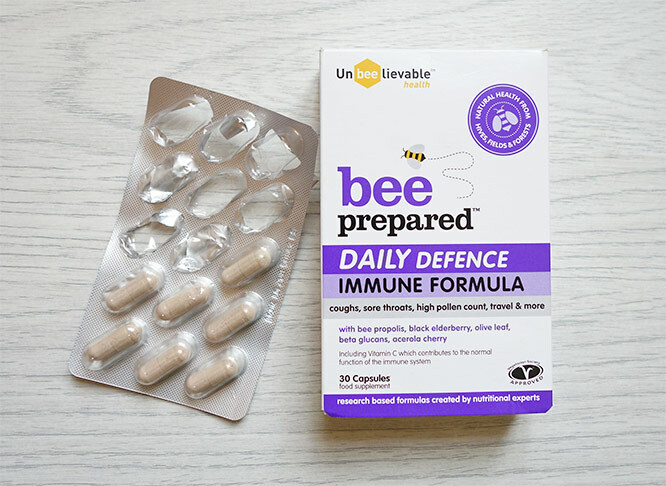 Bee Prepared supplements have become my go-to supplements for treating and preventing colds. I first saw these products advertised in one of the health magazines and after that, I saw some people were talking about them on Twitter and that made me really curious. I used to regularly catch colds in winter, especially in December and January and at some point I had enough and I really wanted one season to be different. I didn’t want to spend another Christmas, Birthday or New Year’s Eve suffering from a cold. So how did Bee Prepared Max Strength work for me at the beginning? Did I get ill? No, actually, I didn’t get ill and it was just amazing how well it worked for me. I started taking the supplement at the beginning of December, well before Christmas and New Year. All was good in December. Christmas came and went and I was in good health. New Year came and went and my immune system was doing well – it was dealing with overindulgence, late nights and a bit of extra alcohol very well. 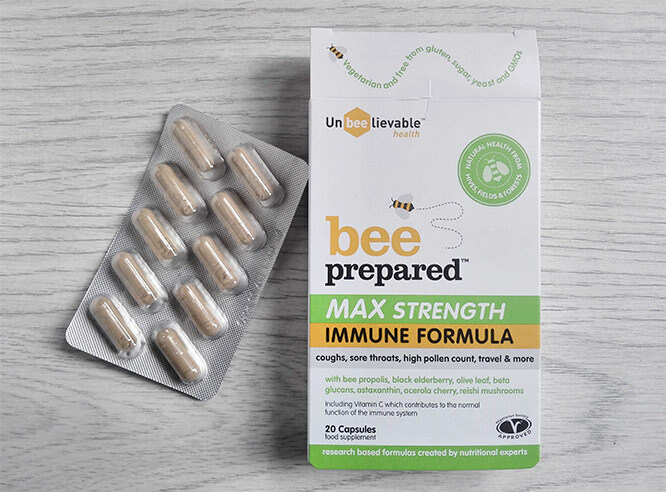 If I felt that my nose started to become a bit runny I would just take an extra dose of Bee Prepared Max Strength immune formula. You can take up to 4 capsules per day if required. And this is really what you should do if you want the supplement to work for you. As soon as you feel a little bit under the weather, increase your dose of Max Strength capsules and take a maximum of 4 a day. I got through that winter with no problems – no viruses, no flu, no colds. Hooray! Great achievement and very pleased! This hadn’t happened in years. I do believe it’s Unbeelievable Bee Prepared Max Strength that helped me stay cold-free. My diet over Christmas and the New Year period was as usual – a little bit too much of food and too much of refined sugar. I also did some travelling that time which put extra strain and stress on my body. Bee Prepared Max Strength seemed to had worked for me though, no matter what I put my body through at that time. I would just say that I cannot guarantee that it would work for you, as everybody is different, everybody has a different immune system but it’s just reassuring to know that this supplement has lots of positive reviews online so it’s very likely it will help you. Also, it’s worth keeping in mind that there is all kind of factors affecting your immune system, such as the amount of sleep you get, the amount of stress you are under and the food you eat, of course. You may want to tackle all these factors first when trying to prevent a cold. I still recommend Bee Prepared product though and not only in winter. 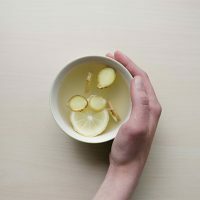 Your immune system may need some boost any time of the year, especially when you are under stress, travelling, training hard in the gym or doing other strenuous activities. On the packaging, it says that the immune system may need support at high pollen count as well so it seems that this is a great supplement for hay fever sufferers as well. At the moment I use Bee Prepared Daily Defence immune support when I feel my immune system needs some boost. If it happens I don’t sleep enough or my body get stressed in another way, I would take more than one capsule in one day. This does seem to work for me and I can confidently say that it’s one of the things that keeps me healthy. If you tend to get lots of colds every year, I highly recommend you try Bee Prepared immune support supplements. I recommend you start with Max Strength capsules to build up your immunity quicker and then at some point you can always downgrade to Daily Defence capsules, although it doesn’t harm stocking up on both as in some cases it’s better to take Max Strength Bee Prepared. Remember, these supplements shouldn’t be used a substitute for a varied and balanced diet and healthy lifestyle. Healthy eating always comes first and supplements should come after that. 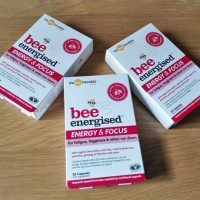 Have you used Unbeelievable supplements before? Do you use any supplements to support your immune system? This post has been originally published in 2014 but updated in 2018.